Increasing the memory capacity of your Laptop and Computers will result in smooth and faster processing of your system. The Additional RAM comes in handy in various formats based on different memory sizes. As an informed user, you should be totally aware about the specifications of your laptop that whether it supports additional RAM or not. Some Laptops do support additional RAM with slots provided for adding the RAM whereas some might not have the capability of additional RAM which limits the user with a constraint of limited RAM available in the system. The motherboard and BIOS controls the RAM specification in a particular Laptops as well as on a Desktop Computers. Hence, you need to identify the type of specification of your laptop. 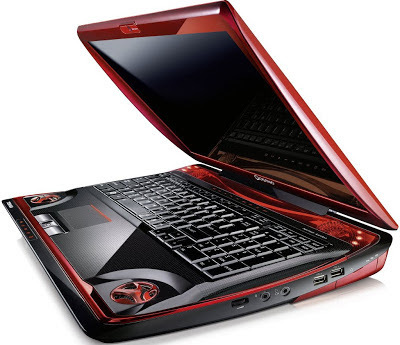 Moreover you should also figure out the type of memory being use in laptop along with its current speed. This can be identified by restarting your laptop and pressing Delete and F2 key while the system is getting boot up. This will halt the booting process and will drive you towards the system information wherein BIOS and motherboard information is visible. If your system allows you for additional RAM capacity to be installed, then you need to check the current RAM capacity of the system to make a wise decision in upgrading the RAM or not. If you are running your system on Windows XP with less than or equal to 512 MB RAM or Windows Vista or Windows 7 with no more than 1 GB of RAM, then a clear scope of increasing the RAM of the system is available. The enhanced RAM capacity will make your system respond to commands faster and will help in higher processing speed as well. You have the option of upgrading your RAM in Windows XP or Windows Vista to 2 GB, Windows 7 to 4 GB and Windows 8 to 6 GB for enhancing the performance of your laptops and desktop computers. The feature of upgraded RAM will result in providing a quality user experience while working on laptop with high definitions videos or stuff which requires larger memory for processing. A smarter way to add RAM in the laptop will be through the use of screwdrivers through which you can open the fit parts of the laptop. A multipurpose screwdriver with various types of head will make the work a lot easier. On removing the fit part from the laptop, you can draw out the RAM from the laptop by handling it with its edges. The RAM needs to be handled carefully avoiding any contact to the main parts of the hardware. The memory modules of the system need to be handles with utmost care. SODIMM slots helps in keeping RAM intact and in place. The clips provided at SODIMM slots helps in easy removal and placement of the RAM inside the system. Various Laptops manufacturers have different type of slots which provides ease of removal and addition of RAM quickly. The entire process will aid in faster processing and increased speed of your laptop which will enhance your overall experience.